1. Thanks for all of you who linked your favorite rooms!!! It has been so fun touring your homes!!! Please feel free to continue to add your rooms if you haven't and want to - I think everyone has enjoyed looking for ideas! I just have three words to describe last night's finale: WHAT? SAD! and WHAT???????? ha! What did you think? 3. When I got in my car after choir the other night I had my radio on a local Christian station and I heard the BEST sermon maybe ever by one of the BEST preachers ever - Adrian Rogers. As my pastor says often "he was the best preacher to ever mount a pulpit". He was preaching on Unanswered Prayers. I'm providing a link because I know there are so many of you out there who are waiting on something and maybe you feel like God just isn't hearing you or wonder why He isn't answering you. Please go and listen to this. He talks about how sometimes God denies prayers, delays His answer, or answers differently. He said that God will wait to answer our prayers until the moment where HE and only HE can get the glory. I love this!!!!! I hope you all have a great weekend!!!! This is one of those great weekends without a lot on the agenda for us so I plan to just relax! Web & I have not watched LOST yet...we are tonight! I am sure that my reaction will be the same as yours b/c I am often like WHAT???? I love the verse you posted today! Blessed are those who wait for Him...WOW! Enjoy a relaxing weekend ;)!!!!!! Lost was CRAZY!!! I mean so, so sad, yet explained so much...and the island moved????? I want to do the Favorite Room post, but I'm currenlty "sprucing" up that room, so as soon as my projects are completed, I'll participate...PROMISE! Oh and I'm going to participate in your favorite rooms. I just haven't had a spare second this week....better late than never. As you know I am OBSESSED with LOST!!! 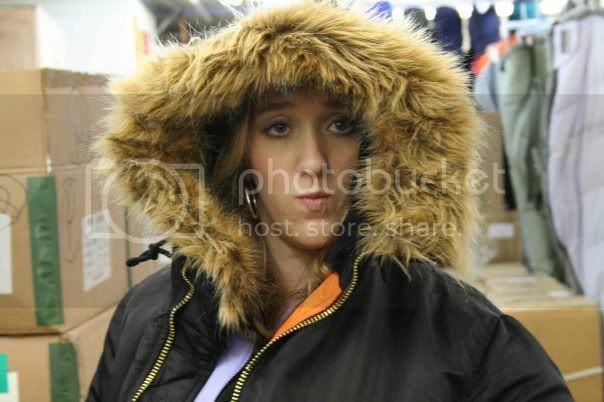 I spend hours going of the different scenarios with people at work and my roommate at home. I'm more "lost" now than ever! I guess I just want to know how Locke aka Jeremy got off the island and when. Plus, is Claire really alive and what about Jack's dad. Oh, and I BELIEVE that Jin is alive and well. That's why I'm not sad. I love this show. As much as it stresses me out I will be sad to see it go! I LOVE Dr. Rogers! Our pastor used to be one of the many at Bellvue, so he worked under Dr. Rogers for years. I feel like he is a bit of a rockstar! I love when he quotes him! And, I am a bit nervous to say, I don't watch Lost. I just can't get into it. haha - I thought the same thing after it was over last night - what??? I also think Jin is alive and I think somehow Christian saved the people on the barge. the whole john locke thing is very strange - I have no idea what happened there. Yes..we are big fans of LOST. I never watched the first season, but I think I am all caught up enough. I think its getting so far fetched..but not so I won't watch it again. I still love it. Glad they finally shown us who was in the casket..so..John apparently came back, but changed his name.. oh my..its so confusing!! Kelly, I loved your verse today and just wanted to say thanks so much for posting it. I'm currently in a battle with our school district over services with my special needs daughter. I love how this verse hit home with me today regarding the issues we are battling. Thanks for your timing on that. I also listened to the sermon you posted and loved it. I've never heard of this gentleman but I'll definitely be listening to him from now forward. Have a fabulous weekend and thanks again! I love that verse. I will have to listen to the sermon later tonight. Have a wonderful weekend! Lost was crazy and it kinda made me mad and of course have more questions!! I just wonder if maybe no one really dies there though...so i am not going to be sad yet. LOVE adrian rogers! My husband used to live in Memphis and went to Bellevue and another church too. He did the singles group there and went to church some where else. (totally cracks me up how you can do that when you are a student). He really loved it there at both churches actually. I have heard the church is not the same without him there. I have an old e-mail somewhere with all these quotes that came from him...have you seen it? Lost was amazing!!! It never fails, always good! I have never heard of Adrian but I will check him out, thanks for the link. I have never watched lost so I can't weigh in there but Dr. Rogers was my pastor for 12 years and when he past away it was just heart wrenching. He was a wonderful man of God. Thanks for the link. OH WHY DID I NOT READ THIS EARLIER! THANK YOU KELLY FOR PUTTING THIS UP. THAT VERSE....man I needed to read it and the words just washed over me like it was the very first to read those words. I will go to that link! "He said that God will wait to answer our prayers until the moment where HE and only HE can get the glory.".................... Girl isn't that the desire of our hearts. Oh I want what he wants and I desperatly want him to get every amount of praise that is in me! Kelly, I just love Him so. I do, I do. Thank you for sharing this because it just overflows me with HOPE and ASSURANCE of his promises!!! love you dear...have a great weekend! Love the verse you shared! What a wonderful reminder that there are no unanswered prayers... He answers them all in His way and on His timing! I hope you have a great weekend girl! 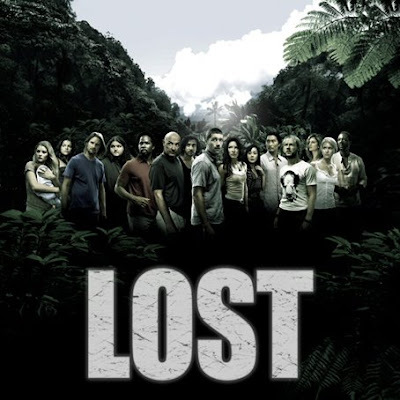 I am totally clueless on Lost...that is one show that we haven't gotten into. Thank you so much for sharing this verse and for telling us about the sermon. I can't wait to go check it out and hear from the Lord! We have a pretty low-key weekend planned too...we are getting Emma and planning to take her to the pool so she can go "wimmin" as she calls it. I will definitely have on sunscreen this time! I love Adrian Rogers and will definitely listen to that sermon you linked, so thanks! And thank you so much for that verse...it blessed my heart today when I so needed it! 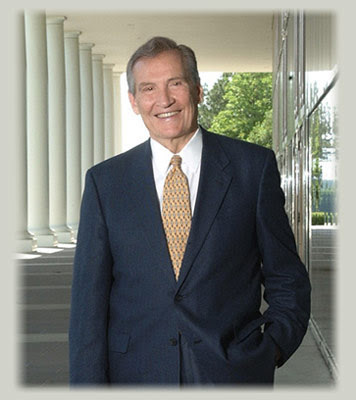 Yes, Adrian Rogers was awesome! I have a book that's day by day for a year and it's called "What every Christian should know" It is by Adrian Rogers and it's wonderful. Sometimes waiting is hard but in the end it's worth it. What a great verse- thanks for sharing!! Thanks Kelly for adding the link of Dr. Rogers..I'm listening to it right now. Seeing his picture brings so many memories as he was the one I was saved & baptized under and he married me and my husband. I miss his preaching! i have commented a few times before but have only been reading for about a week now...i was reading on some of your back posts (just discovered your recipe blog too:0) and saw this post...have you seen this blog: http://poppyjoy.blogspot.com? i was told that this is adrian roger's gradaughter.